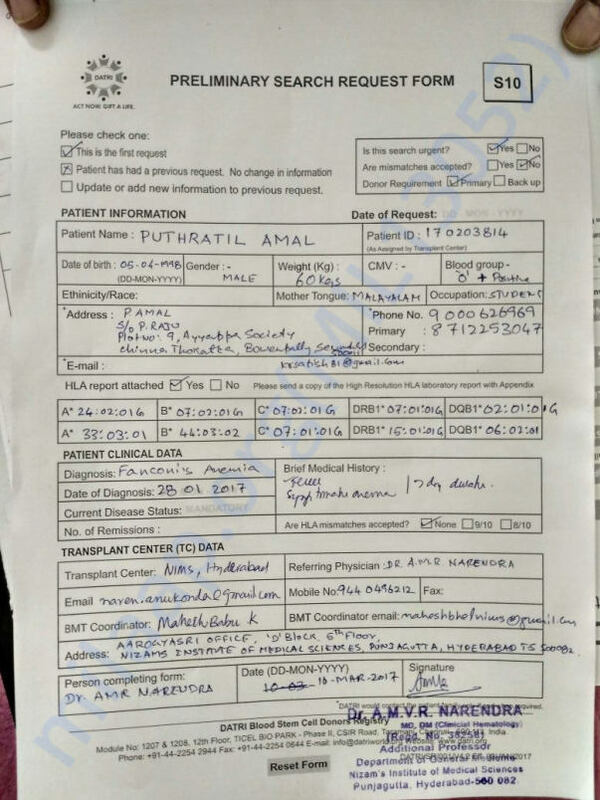 My friend Amal, is fighting a rare bone marrow disease - FANCONI ANEMIA due to which he needs an immediate Bone Marrow Transplant. Fanconi Anemia as mentioned above is very rare and occurs in about 1 per 1,30,000 births. Its really disheartening to see our friend trying to fight this life threatening disease. 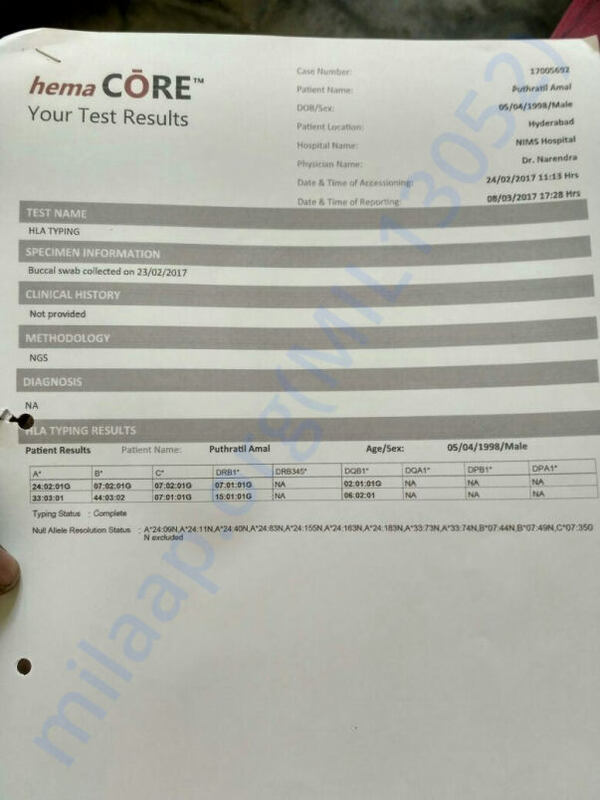 Amal, a full of life college-goer fainted while playing a match with his friends and when the doctor was consulted he immediately asked his family to join him for further tests and that is when we got this unfortunate news of his ailment. 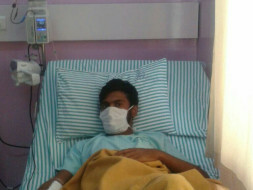 He was admitted at NIMS Hyderabad for treatment. But we had a tough time finding a donor for him as he is the only son and doesn't have a sibling we had to look for unrelated donors elsewhere. After a lot of struggle we were able to find a donor in Bangalore , we admitted him to Narayana Hrudayalaya, Bommasandra, Bangalore. The doctors say the cost of the treatment, would come upto Rs.23 Lakhs and the other medical expenses could go up to Rs.15 lakhs additionally. Amal's father works at a small temple and his mother works as a clerk in a small school in Bowenpally, Hyderabad. 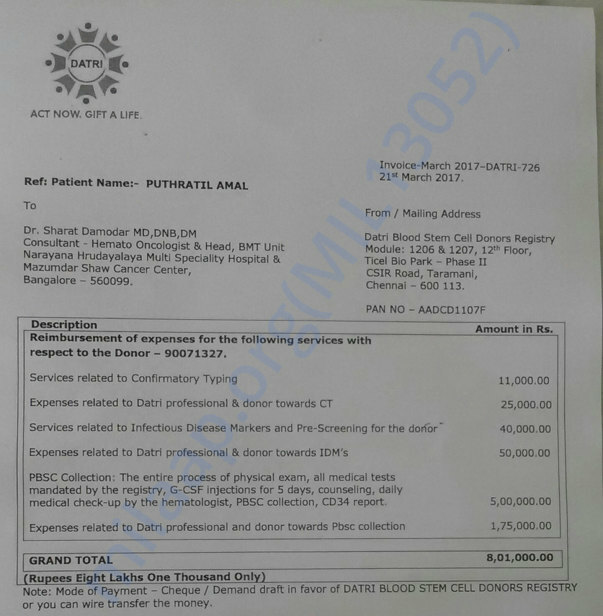 Their annual income comes up to around Rs.2 lakhs only and hence they are facing acute financial difficulty to fund their son's treatment. 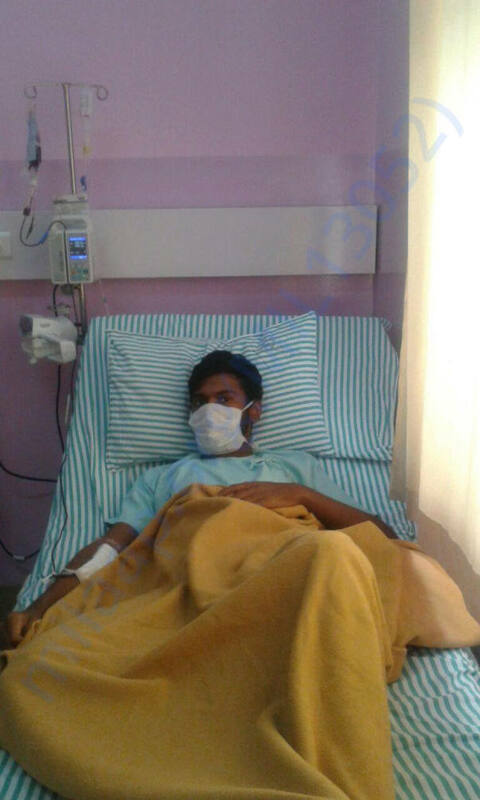 Inspite of the hardships they already spent around Rs.10 Lakhs for his treatment until now. Amal all of 19 years of age, is a student of Bhavan's Vivekananda College, Hyderabad. Apart from excelling in his studies he also loves to dance and has participated in a whole lot of competitions and won quiet of few of them with his stupendous talent. A calm going and lovable friend of ours is now fighting for his life and we all want him to spring back on his feet. 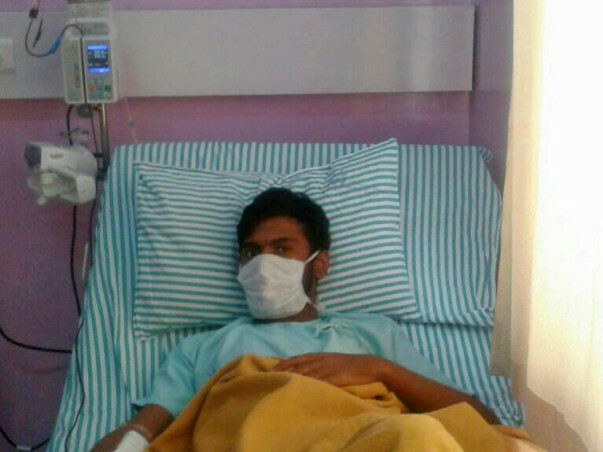 Please help Amal fight this battle and emerge healthy to see a smile of his parent's face. We have raised a withdrawal request for the remaining funds for paying off the hospital bills. With a heavy heart we inform you that Amal has left for heavenly abode on 19th of May after a long and brave fight against Fanconi Anemia. It has still not sunk in that Amal isn't with us any more. He fought against all odds to win over the rare ailment but destiny had something else planned. Everything was going as per plan as he started responding well to the bone marrow transplant. He was to be discharged few days prior to the fateful day. We also looked out for a good house for him to move into, closer to the hospital to facilitate regular check ups. 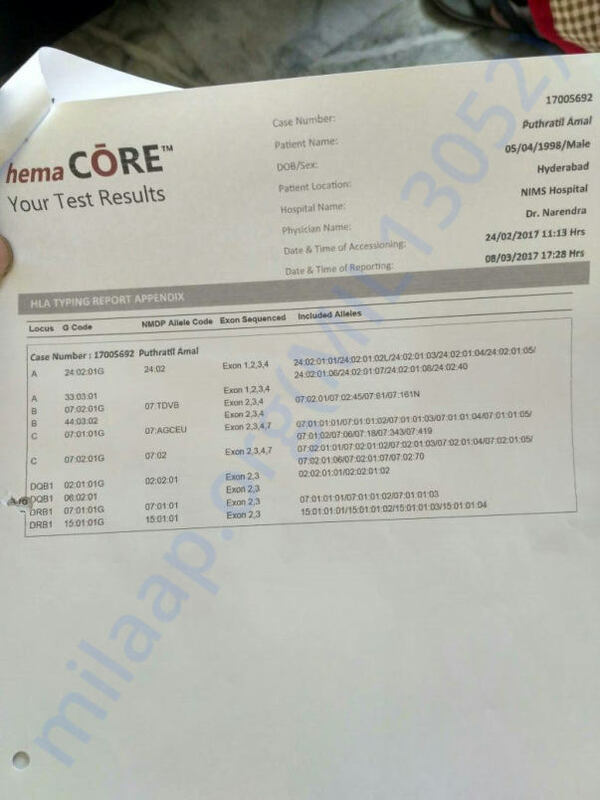 But just a day before, his wbc count started dropping drastically, and after various tests being done, the doctor suggested another bone marrow transplant for him. And as they could not identify what triggered the sudden drop in the count and the reason for his health to deteriorate, they conducted radiation and also chemotherapy and then the transplant. But just the same night, this bp dropped and then he had breathing difficulties. He was rushed to the ICU later that night and by morning his lungs developed infection and also his kidneys were not functioning normally, so the doctors were getting ready to start dialysis, just when his pulse dropped and within few minutes he passed away. It is extremely devastating that he isn't with us now, but he will always be with us in our memories. Thank you so much Amal Rahul for all the wonderful times we spent together. And I want to personally thank each and everyone of you'll for you unconditional support and prayers and for standing by us during these tough times. You all made us realise that the world has so many good souls around. 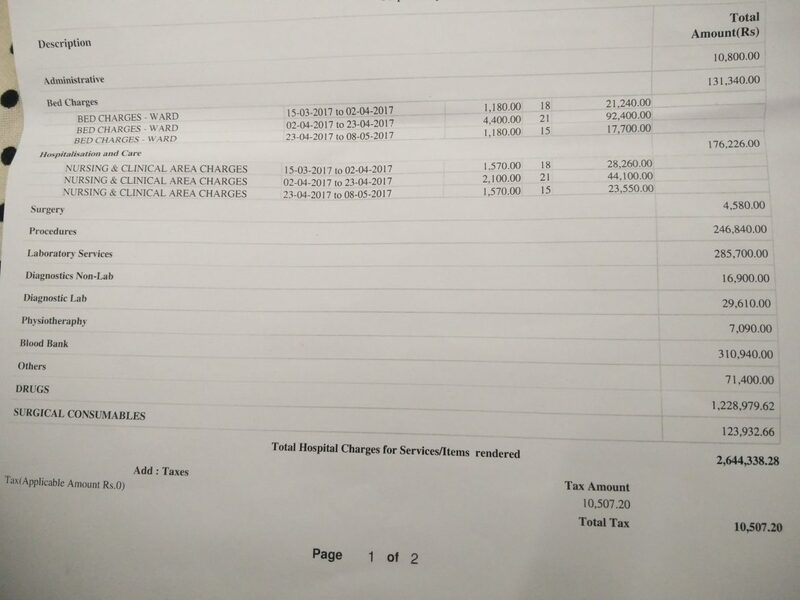 We have received an updated bill from the hospital. 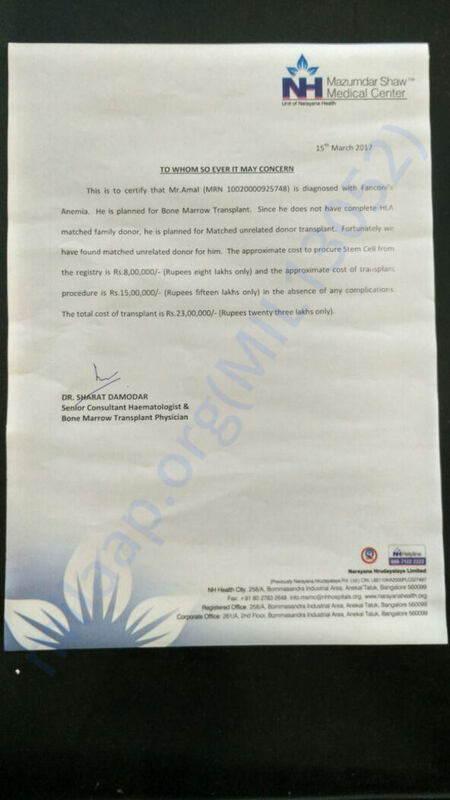 While we were given an estimate of the operation cost as 15 lakhs and an additional 8 lakhs for the donor, the total amount to be paid just for the hospital charges is now more than 26 lakhs. We are trying our best to help the family in this hour of need. Please support the campaign and help spread the word to get the required amount for the treatment of Amal.